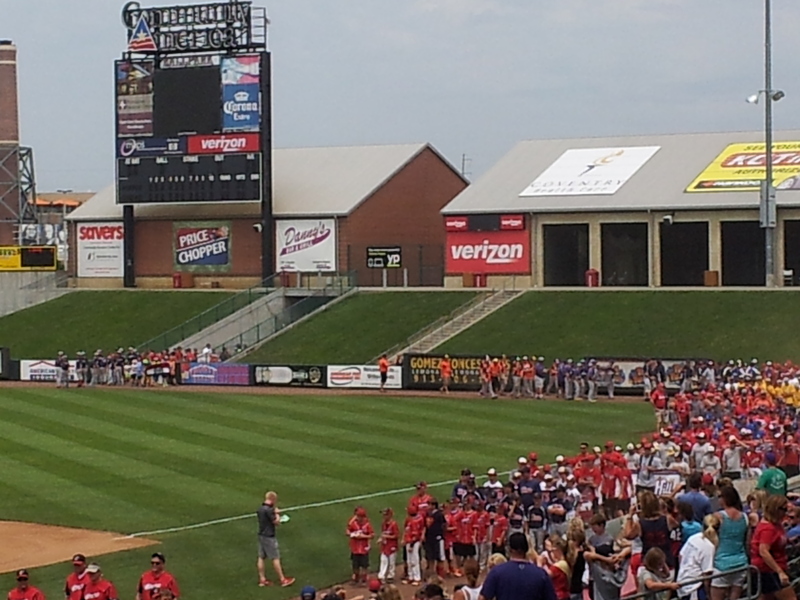 USSSA World Series Experience | The 3&2 Baseball Club of Johnson County, Inc. Entries are first come first serve, limited to first 24 teams in each age/class. Enter here on or before July 2, 2017. This video features our nine, East Complex fields. We have 18 more fields at our West Complex. The parade of teams is always a big hit! WELCOME to the 2017 USSSA Baseball 7U, 8U, 10A, 10AA, 12A, 12AA, 14A and 14AA Global World Series tournament. Your tournament host is The 3&2 Baseball Club of Johnson County. 3&2 has been playing host to USSSA World Series events since 2000 and is a two-time winner (2002 & 2016) of the USSSA National Complex of the Year, which should provide confidence to your team and families that they will have a quality experience. 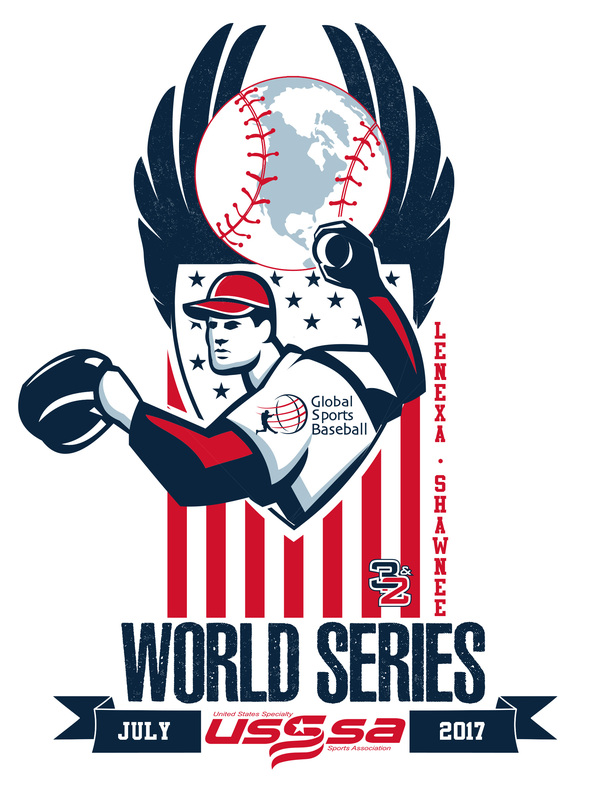 In order to participate in this Global World Series tournament, you must have participated in a state qualifying tournament and in a state tournament. Your State Director will need to approve your entry to confirm your team has met all eligibility requirements. The cost to enter the tournament is $730. The list of teams that have registered for this event are available on the USSSA web site. USSSA roster that will be compared with USSSA on-line roster. Cell number and hotel of where you are staying. Copy of birth certificates for each member of your team. Failure to have a copy of the original birth certificate or approved photo ID available upon demand will result in the offending team losing the game, being ejected from the World Series, being placed last in the standings and forfeiting all awards that would have been awarded at the World Series. The mandatory manager’s meeting will cover rules and procedures to be followed during the tournament. Teams can be checked in after the meeting if necessary. Please follow this link to view the rules of conduct that will be adhered to at this “AA” World Series tournament. You may reserve your hotel accommodations at the below link, emailing: or by calling their office at 515-207-4910. After playing three games in pool play, teams will be seeded and placed into one of three modified double elimination championship brackets. Each championship bracket will crown a World Series Champion. Team and individual awards for the 1st through 4th place teams in each championship bracket. TBD – Team Mom meeting to learn about what to do in the area other tournament details. TBD - Royals Game - tickets available for purchase. Thursday, July 13 - 8am - Pool play begins. Friday, July 14 - 8am - Pool play continues. Saturday, July 15 - 8am – Bracket play begins. Sunday, July 16 - 8am - Bracket play concludes. To open the World Series tournament, a team parade and players social will be held on Wednesday, July 12 8 at Community America Ballpark. Players and their families should arrive at TBD and prepare in advance of the base running competition and player social where pin trading occurs. Team banners and state flags are encouraged. Team pictures will be shot prior to the team being announced. Players and coaches should be in uniform. For safety reasons, candy/gum or other objects will not be allowed to be thrown into the crowd during the parade. The pre-tournament festivities will conclude at the end of the parade. An area will be available for tournament t-shirts, tournament passes and other souvenirs. Pin trading has become a tradition at USSSA World Series events. Players will have an opportunity to trade pins while lining up for the parade and after the opening ceremonies. Team pins are not mandatory but do add to the fun of this special event. ALL WRAPPERS FROM THE PINS SHOULD BE REMOVED AND DISPOSED OF PROPERLY BEFORE THE PARADE. Beverages and snacks will be available for purchase. Admission during the tournament will be $25 for a tournament pass or $7 per person per day for ages 14 and up. For children ages 6-13, the charge will be $20 for a tournament pass or $5 per day. This charge includes everyone except players and team coaches in uniform. Three coach’s passes will be issued. There will be three skills competitions that the players on your team can participate in. On check-in Friday, prior to the parade, there will be a fastest base runner competition. Other events may include Around the Horn and Accuracy Throw. More information about these events, including time and location, will be discussed at the manager's meeting.